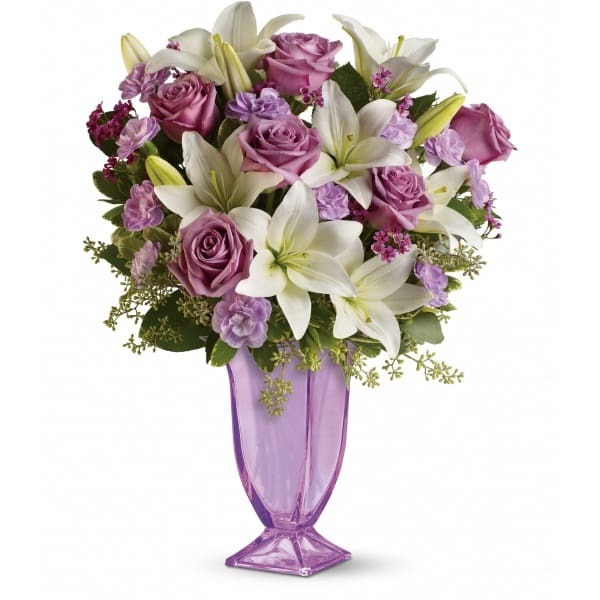 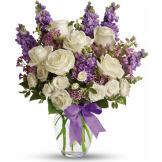 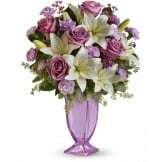 Lavender and so lush you could get lost in it - the lavender roses, the handmade lavender glass pedestal vase. 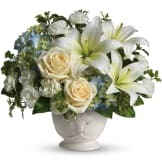 What in impressive way to show your support for the grieving family and uplift their spirits. 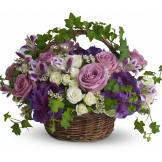 Flowers will be received by a Hopkins Lawver Funeral Home Inc.'s staff.